Leave a message for Tom using the form fields below. If you have any questions, please contact us at (212) 269-7800. For general inquiries, email compliance@ingalls.net. Tom is a founding member of the 6th Avenue Team at Ingalls & Snyder. Tom DiTosto uses tax-efficient, risk-mitigating strategies to design portfolios that are aligned with clients' goals and needs. Tom is a Co-Founder of The 6th Avenue Team at Ingalls & Snyder where he also holds the titles of Senior Vice President and Portfolio Manager. 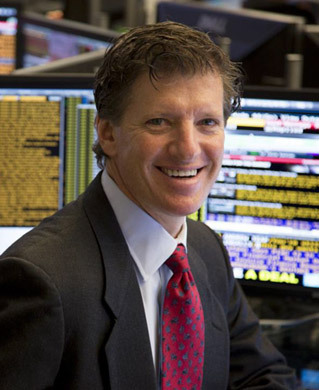 He has over twenty-five years of experience in the fixed income markets, including corporate, high-yield, distressed, investment grade bonds, municipal bonds and other income generating investment vehicles. For 11 years Tom served as a Managing Director of Ingalls &Snyder, and he served as a Senior Director from 2015 to 2018. Prior to joining Ingalls & Snyder, Tom held senior positions in trading and institutional sales of municipal bonds and mortgage-backed securities at Sandler O’Neill & Partners, Wertheim Schroder, and at Mabon, Nugent & Co.
Tom holds a B.A. with honors in Mathematical Economics from Colgate University. He is a life-long New Jersey resident and currently lives in Short Hills with his wife and four children. Tom is active in many local charities and has skied all over the world. He also enjoys, fishing, golfing, surfing and traveling with his family.